The smart way to health protection. Your physical health and those of your family members cannot be taken lightly. With the ever-increasing medical costs, providing quality health care to your loved ones can prove to be a costly exercise. Having adequate financial protection for contingencies is the need of the hour. 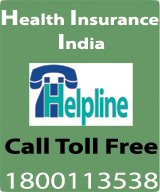 But now you can relax with the Smart Health – High Deductibles Insurance Policy. This policy acts as a top-up cover for any of your existing health insurance policy – It offers extended coverage for hospitalisation expenses incurred for treatment of disease, illness and injury after applying the deductible, that you have opted for. Covers hospitalisation expenses including doctor fees, room charges, expenses towards surgery and medicine costs, incurred for treatment of disease, illness or injury. The payment or reimbursement is subject to applying the deductibles agreed for. Covers expenses incurred for treatment relating to pre-existing diseases, illness or injury, after 4 continuous renewals with us. Provides reimbursement of expenses incurred for the transportation by ambulance to and from the hospital for treatment. Provides for reimbursement of charges incurred towards physiotherapy in the hospital for the treatment of the disease, illness or injury. 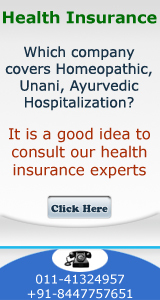 Provides an allowance towards expenses incurred on the accompanying person at the hospital.